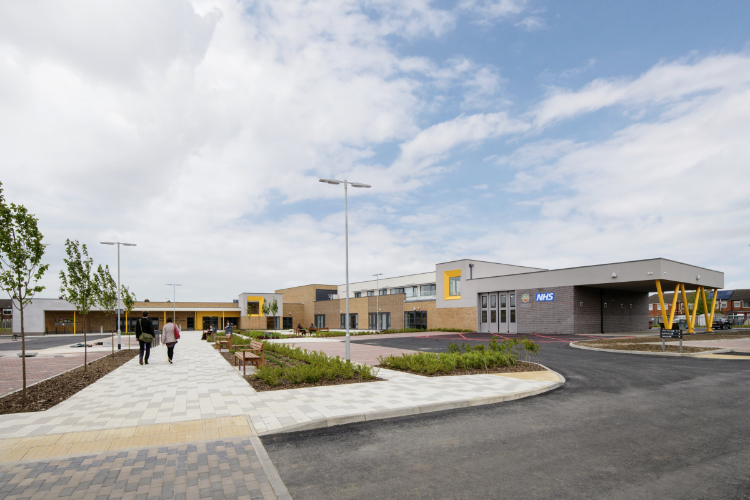 During the week the NHS celebrated its 70th birthday, the Jean Bishop Integrated Care Centre (ICC) in Hull was officially opened. This innovative new health complex is the first of a new generation of health infrastructure that enables out-of-hospital care. 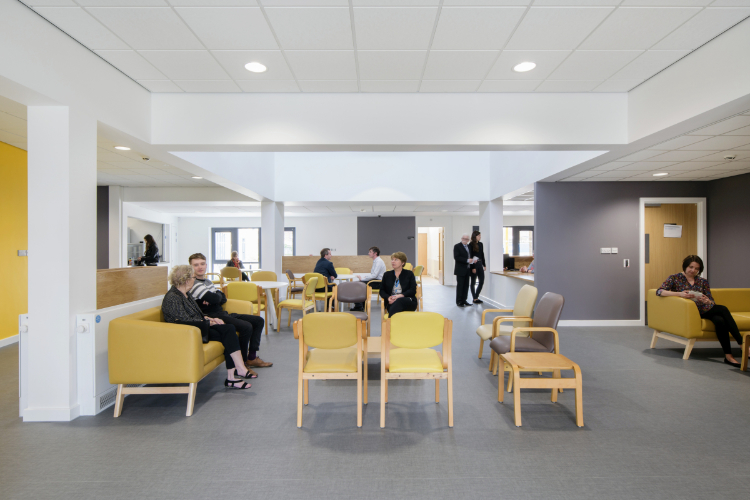 Designed to transform the lives of the elderly, it will provide local treatment and care to help residents keep fit and well whilst living in their own homes. 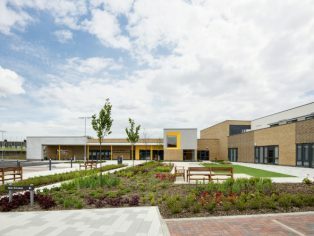 As well as NHS services, the complex incorporates a new fire station for Humberside Fire and Rescue, who also cater for patients who slip and fall. This reflects the “One Public Estate” model, with public agencies pooling resources to realise a new campus where the whole delivers much more than the sum of the parts. The £10m building was delivered under the LIFT public private partnership, overseen by the development partner Citycare and contractor Sewell. 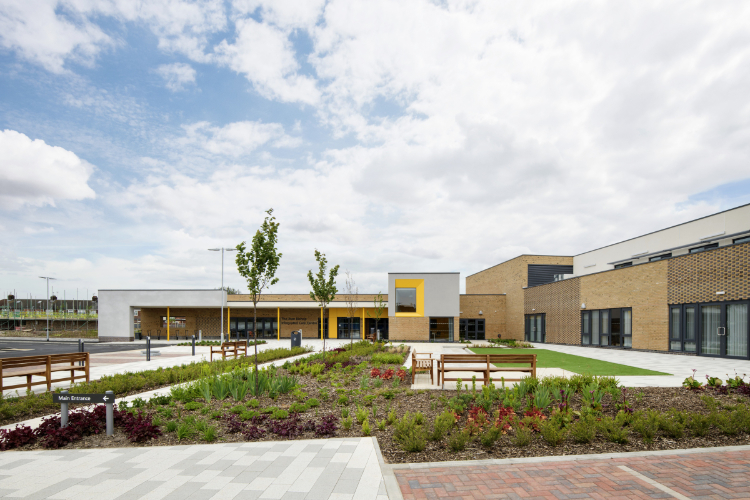 Sited on vacant school land in an area of the city often deprived of investment, the ICC has created a new civic landmark that the local community are very proud of. Working with a constrained budget the design is uncompromisingly modern, despite using a limited palette of materials and components. Features such as the oriel window draw the eye and communicate a structure and order to the linear form. The generous public realm segregates traffic and provides a boulevard and garden spaces which encourage mobility. By organising the welcoming point at the heart of the low rise building, all the clinical and support functions are nearby and accessible. The therapeutic and non-institutional character of the design is immediately apparent with views of gardens, daylight and comfortable and convenient waiting spaces. The planning logic of interspersing clinical and public spaces fosters a sense of reassurance and wellbeing. This is central to the experience of patients, staff and visitors in their journey from diagnosis to treatment and therapy.